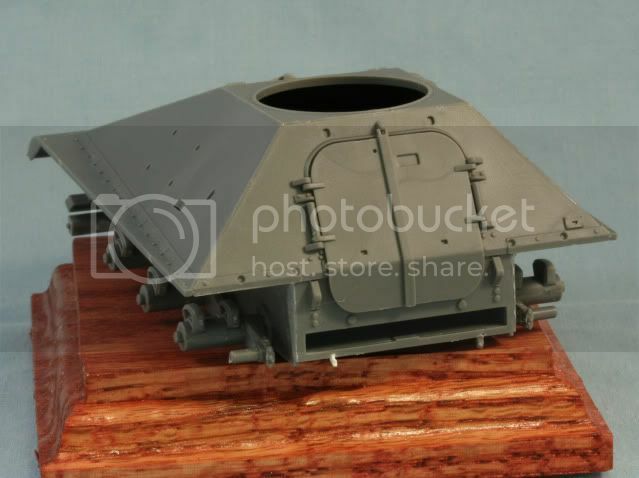 This will be the new Academy M50 Ontos. 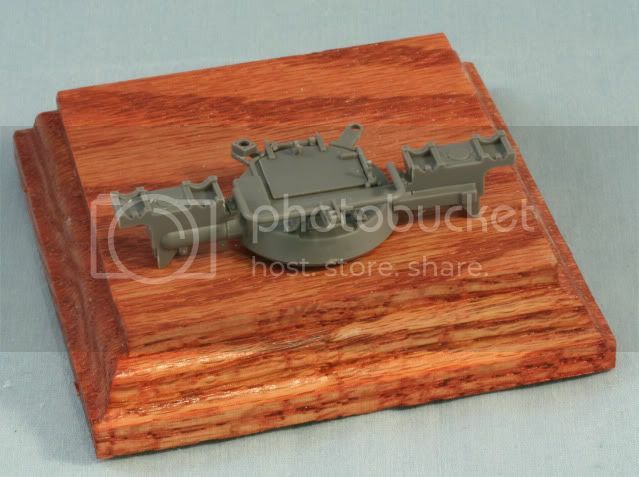 I will also be adding the Lion Mark Aluminum barrels and the new MK models M50 Ontos PE set. Here is a movie from You Tube showing the Ontos firing during the Tet Offensive at the Battle for Hue. 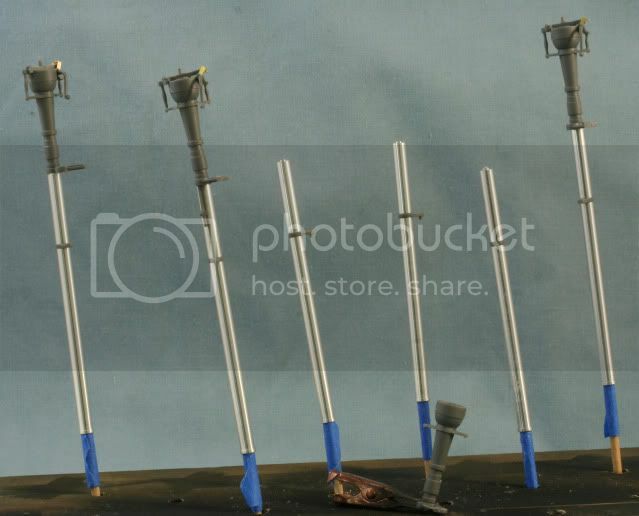 The kit has 4 sprues, two of which are duplicates and contain the rifle parts and road wheels. Also there is the upper and lower hull, a small PE sheet and a small sheet of decals. I will skip step 3 & 4 for now which are the assembly of the road wheels and connection of the outside suspension. Step 5 is the assembly of the rear panel of the lower hull. The hinges for the ammo storage door and VERY TINY and for the first time in a long while the floor devoured a part!! So out came the styrene sheet. I did not mount the handle on the door to keep it from getting broken off at this point in the build. Step 6 & 7 would have you mount all the detail on the upper hull before joining to the lower hull. Based on the way the kit fits together, I thought this was a BIG mistake so I just mounted some of the larger flat hatch covers and caps from step 6. Next I went to step 8 and assembled the rear panel and doors, again leaving some of the small details off at this point. Then the rear panel is joined to the upper hull. Also the seam in the rear for the lower hull rear section requires attention. The undersides of the fenders hide the main seam. It is so big it requires some filling. It need not be perfect as it will be hard to see when built but untouched may be noticeable. With all the putty work, I went to step 9 and assembled the turret. I left off the 30 cal and shield for ease of painting. The two parts hanging over the rear are for radio antennas. Moving on to step 10, I began the assembly of the 6 recoilless rifles. This involved the Lion Marc barrels, some small PE from the MV sheet and parts from the kit. 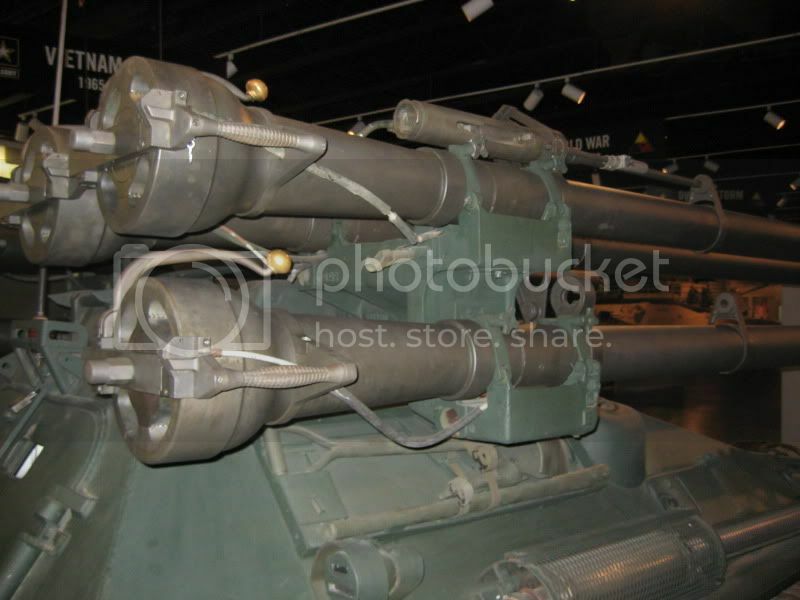 The barrels are actually two parts which join through the kit supplied forward 50 cal mount. The Lion Marc halves fit very snug and required convincing from my small hobby hammer to assemble. With all the small parts, I made two sub assemblies, front and rear before mounting the 50 cal barrel and joining. The directions show the 4 with 50 cal all having them mounted the same way. That is incorrect, 3 are as per the directions and 1 is rotated 180 degrees. Here is the progress on the rifles which I have to say are a PITA to assemble. In general, the kit is a good kit but does have a number of flaws. There are a number of ejector pin marks which will show and have to be filled. The seams in the front require work and are poorly designed. The road wheel and drive wheel placement are not correct and this the finished model will sit lower than it should. This problem cannot be fixed without a new lower hull. With that said, we are modelers and not assemblers and everything cannot be handed to us. It is a quantum leap forward from the old Revell/Renwal kit and better detail and better assembly then the Hobby Fan resin kit. But….I will point out all the problems!! That’s where I am at for now. I have to finish filling the seams and sanding the main hull, that’s why I skipped adding all the detail parts to the upper hull. In between I will be finishing up the rifles so they can head off to the paint booth for parkerization. More details to come. As always your comments either good or bad are appreciated. Man,it looks like something from Warhammer. Haha..
Those LM barrels sure look nice Mike even with the extra bit of coaxing required to get them together. Your "Thing" is really coming together. Bill - The LM barrels are worth it mostly because they are rifled!!! Their only drawback is they are not keyed like the kit barrels, so looking at the photo, when you have the two "major" assemblies the barrel and rear section, you have to line them up properly so the 50 cal sits straight on top. The kit barrels are "round" but also have a faint mold line on each side to deal with. IMO the LM barrels are well worth the extra cost based on their better look. Looking great so far Redleg! When you refer to the .50 cals I'm assuming you are referring to the small targeting rifle attached to each large barrel? I've had a good look at the build guide and am pretty much going to be bulding it as you are - leaving off the tiny thin bits that tend to get busted up during WIP and so on. 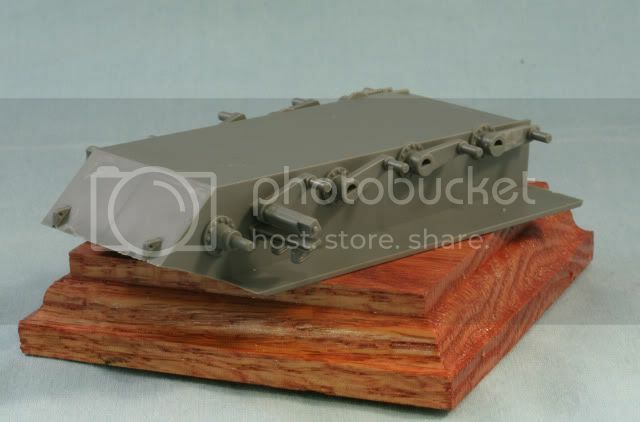 I've looked at a lot of pictures and videos of the ONTOS and the hull will be painted OD Green (XF-74 iirc) as will the hatch area and the mounting cradles for the barrels. You say you are going to Parkerize the barrels-does this mean you are going to paint them prior to fitting? Is this just the 'main' barrels or the fifties and clamps too? Finally, I was thinking of using Tamiya Gunmetal for the Parkerizing. Will this be the right colour? I just happened to be reading a mag last night where a completed ONTOS was featured and it was all painted the same colour green, barrels and all? I'm assuming this is a glaring error as you very obviously know your stuff! If I hadn't raised this question in the first place I'd have just gone with the box art and painted it all in OD too! Would there have been instances where the main main barrels were oversprayed with the hull colour? I've had a good look at the build guide and am pretty much going to be bulding it as you are - leaving off the tiny thin bits that tend to get busted up during WIP and so on. 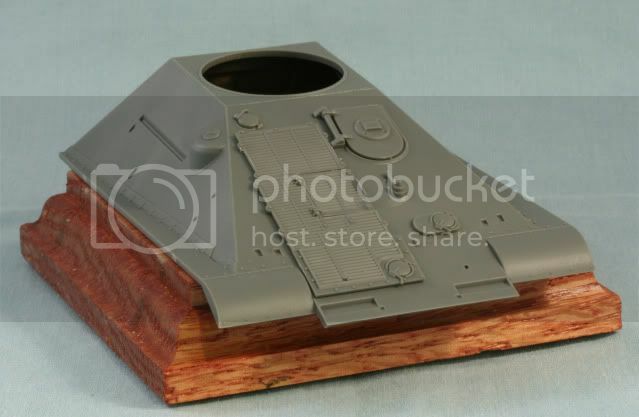 I've looked at a lot of pictures and videos of the ONTOS and the hull will be painted OD Green (XF-74 iirc) as will the hatch area and the mounting cradles for the barrels. You say you are going to Parkerize the barrels-does this mean you are going to paint them prior to fitting? Is this just the 'main' barrels or the fifties and clamps too? Yep, I normally paint details before fitting. 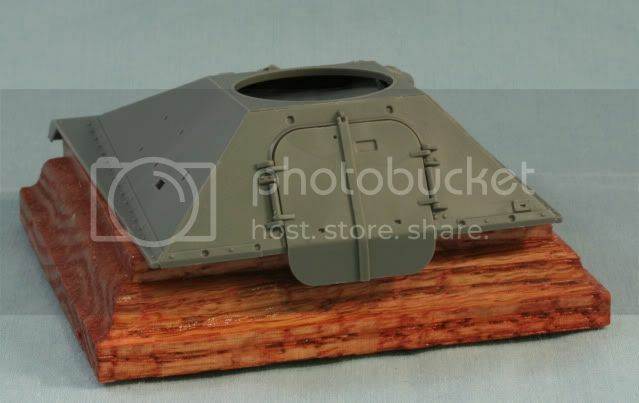 The assembled 106mm rifles will be painted then fitted to the painted turret. The clamps are MC green. The 50 cal rifle recievers will be painted with Alclad metal paints. Finally, I was thinking of using Tamiya Gunmetal for the Parkerizing. Will this be the right colour? Gunmetal is close.....I am expermenting to get closer....you will have to wait!! 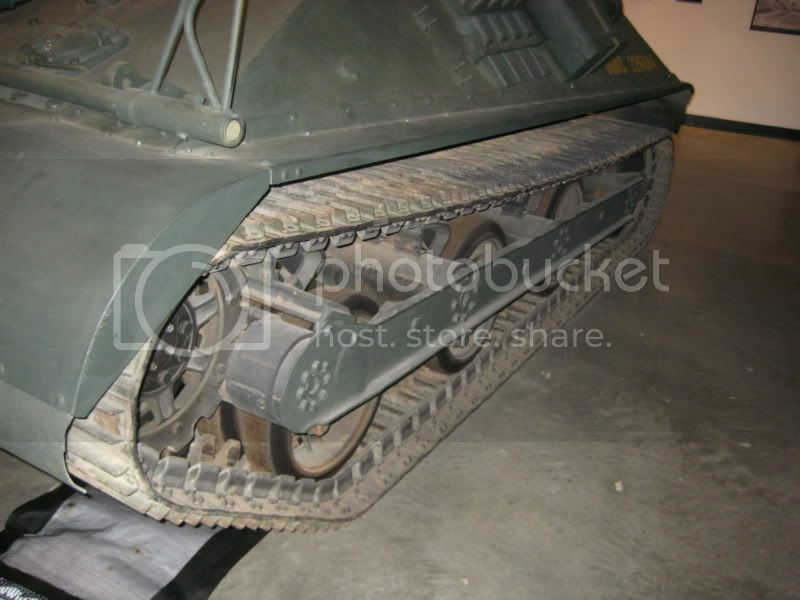 Many Ontos like many other weapons are painted TOTALLY when put on display to prevent corrision. This is not normally how the weapon was employed when in use BUT people go to a museum or see an old artifact and ASSUME it is correct. The key to scale modeling is research. 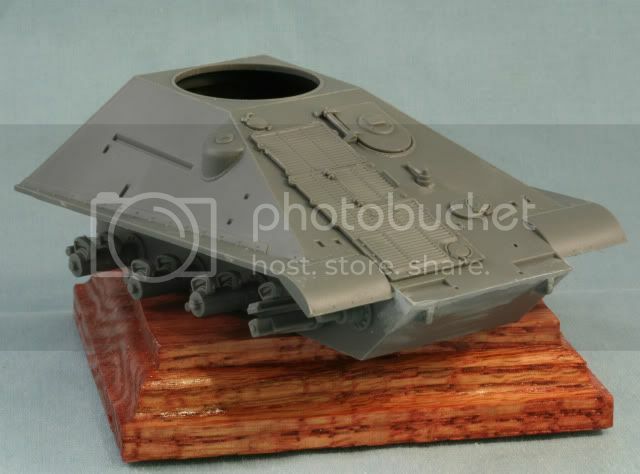 I am building the Ontos now but I am researching my next build. By time I sit at the bench, I have dozens of phots, manuals, etc to refer to. Yes I am a retired US Army officer and that helps but research is the KEY. For me the hobby is many hobbies...one is my love of military history. The reseach is as much fun as the build. If I hadn't raised this question in the first place I'd have just gone with the box art and painted it all in OD too! Would there have been instances where the main main barrels were oversprayed with the hull colour? See my answers above in Italic and Underline. Hope this moves you further along. Obviously I'm yet to start this build and want to get her 100% spot on. I'll be another few weeks on my halftrack yet but your answers are very helpful indeed! Lookin' good so far, redleg12!! Was wondering when someone was finally gonna start this kit, considering it seems like every modeler already has one in their stash. So....got any sort of vignette or special base planned for this build? Ben - No problem....hopefully as we go along here you can get your questions answered as the come up during my WIP. Mike - Thanks for stopping by......well it will start with some VN red earth and maybe some elephant grass but plain VN red (as seen in the video) will work. 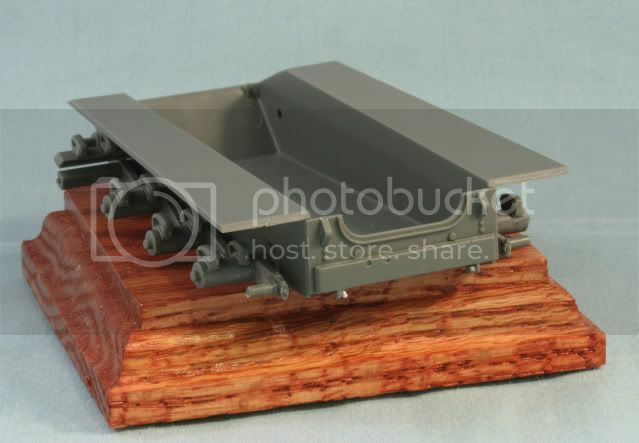 The model is small overall and as such will have a small base. Even the four pics I included are just VN red dirt!! I'm going to watch as this little six shooter goes together for sure. Tony - Nice to have you aboard for another one of my something different builds. As previously mentioned I think just about every armour modeller has this build in their stash! Who could pass up something that looks this cool! It'll be nice to build something that isn't WWII & German for once! Now that is a different looking wee beastie with a rather nasty bite. Thank you for the YouTube link as it showed how nasty the bite could be. The guns may have been a PITA for you but you have pulled them off well. I am looking forward to following along on this one. With enough thrust, pigs fly just fine. Looking good so far!! Might I ask where you got that PE from? The flying hamster of doom rains coconuts on your pitiful city!!!! Woo hoo! The much hyped, much anticipated Redleg vs. the Ontos build! Let the fun begin!!! 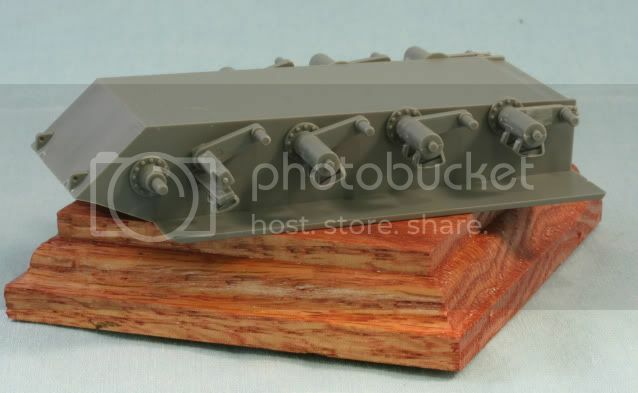 "Sir, you know what a recoiless rifle is?" "We propose to put 6 on a tracked vehicle for the express purpouse of blowing s**t up"
"Son, that sounds like pure overkill....I LOVE your thinking my boy!" Very cool. I knew it wouldn't be long until one of these would pop up in a WIP. 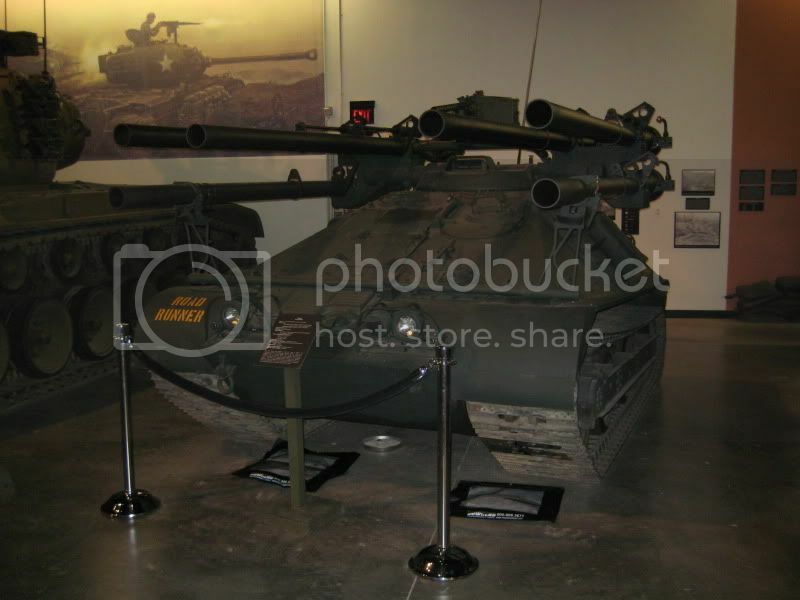 As further inspiration, here are some pics I took of the Ontos at the Patton Museum. Dave – Thanks….always try to make my blogs with a historical reference start….always nice to find some video!! Brian – LMAO….but sooooo true. As for the build….it’s here!!! Mike I'm delighted to see this subject being tackled. Progress looks quick so far and the extra work on the barrels looks brilliant. Keep up the good woro and I personally look forward to seeing you finishing this odd looking but beautiful little vehicle. Terry - Thanks for stopping by and the vote of confidence!! The build progress looks great so far, will be watching this as it develops. I thought this to be an interesting little vehicle when I first saw it. And of course I'll want photos for the web site. Like Alice "I try to believe in three impossible things before breakfast"
Thom - Yep it is an interesting little vehicle....don't worry....the pics will come !! I was referring to me really dude! All I ever seem to build lately is German & WWII! 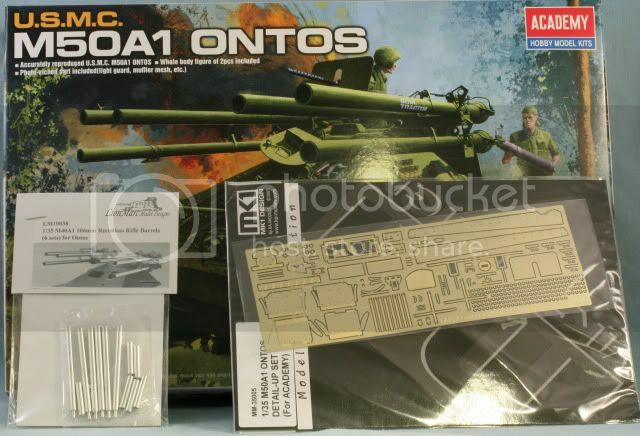 Seeing as my interest in the vietnam war got me into 20th Century Conflict hobby history it's only fitting that I build a 'Nam build and the ONTOS is just the ticket! I'd like to build the M46 Patton but I understand that the Tamiya version is pretty flawed with a few mistakes so until Tamiya sort it out or I won't be building one! Does anyone other manufacturer build the Patton in 1/35? How about some update photos Redleg, I'm itching to see how it's going. You can then pop over to my house to give me a hand - it's only a few thousand miles! Crazy! You said you were an ex Army officer, apologies if I'm miles out time wise as this will make you sound pretty old but did you serve in 'Nam or did you join up much later? Patience my young jeddi........the weekend will be here before you know it!! This is not fast food.....it is a nice steak.....you need to slow down and enjoy it!! I spent my time in from the end of VN until a few years after ODS. I personally did not serve in VN, but many I served with had been there. Great WIP, I also just bought this kit, I buy anything Marine,,being a retired Infantry Officer. As a note, I commanded the last remaining 106MM RR platoon in the USMC, at Guantanamo Bay of all places. 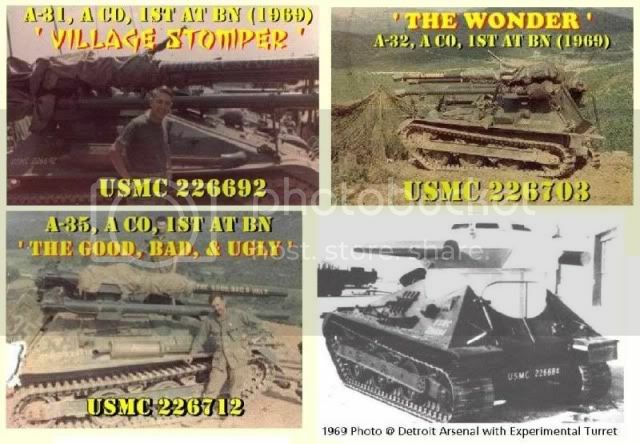 We did not have any Ontos, but did mount them on jeeps, 6x's, and even Navy J-10 Pick-up trucks..thanks to 'Gunny Ingenuity'. As to bbl colors, I will try and dig some pics out, but I recall ours being more green parkerized than the gunmetal color,,of course memory fades. Great job Redleg and thanks for sharing and your service! Thanks Redleg I appreciate it very much!! Tonka - Thanks for the comments and same to you on service. Yep...the greenish gunmetal color.....I am experimenting on some scrap sprues trying to get there. That funny shade of parkerized with a green tint!! As far as memory fading....a..lets not go there....we are both too old to discuss.....what were we talking about! A good sergeant is worth his weight in gold...especially when it comes to creativity!! I'll be interested in what colour you finally come up with for them barrels. If you were lazy it would be out with the gunmetal and job done! Looking closely there's a bit of grey, black, a hint of a metallicy green...............I'm surprised Academy didn't take the time to include this on the build guide/box art? Thanks to ............. for the pictures of the museum piece-that will be a BIG help when painting them barrels and additional wiring etc!